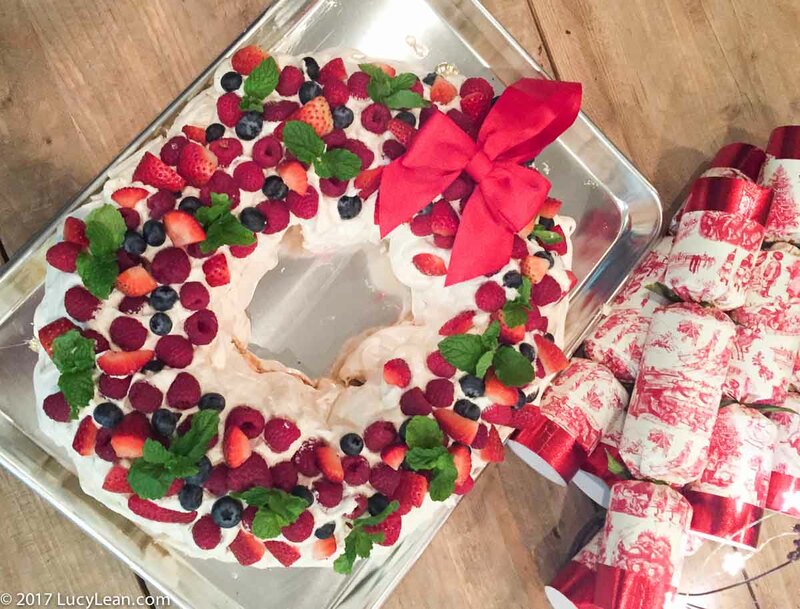 This is an easy to make Christmas Wreath Pavlova that will add to your holiday traditions be it dessert for a holiday dinner party or something lighter than Christmas pudding on Christmas Day. It’s also naturally gluten free so good for those guests who aren’t eating gluten. If you substitute Coconut Cream for the Chantilly Cream you can also make your dairy free guests happy too. 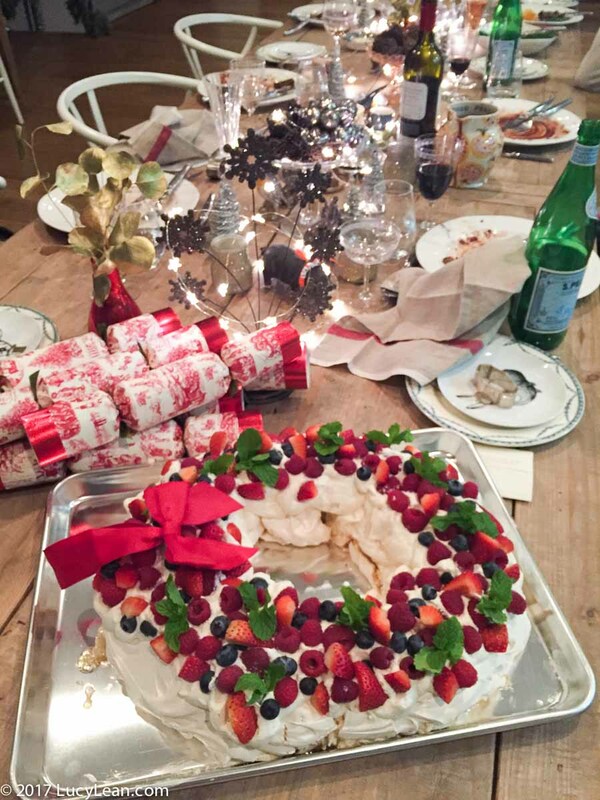 Add mint leaves and red raspberries and strawberries for a festive holiday desert. 1. Preheat the oven to 400 F. Spread the sugar evenly on a large sheet pan lined with parchment paper. Place the tray of sugar in the oven for 8 minutes until the sugar is heated but before it browns. If the sugar isn’t hot enough the sugar won’t dissolve and you will end up with gritty meringues. 2. Place the egg whites in the Kitchenaid mixer bowl with the whisk attachment. 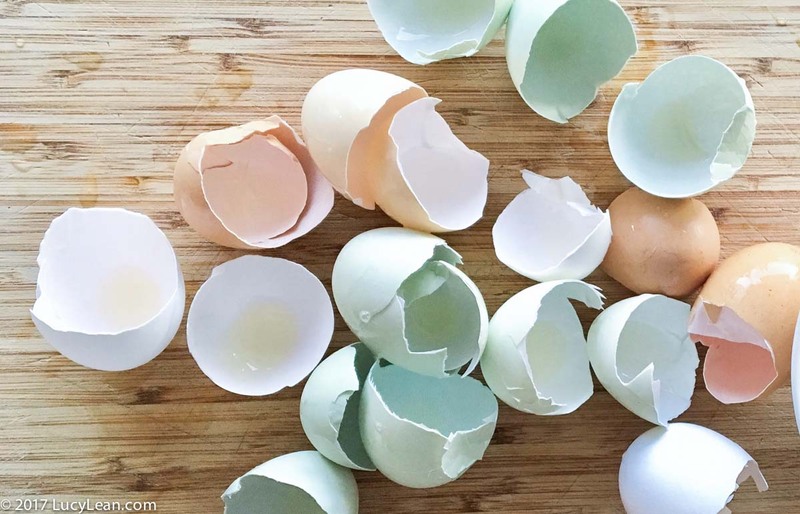 Whisk the eggs on high speed for about a minute until the whites are beginning to froth up. Add the hot sugar to the egg whites and turn up the whisk to high for 10 minutes. 3. Turn oven temperature down to 230F. 4. 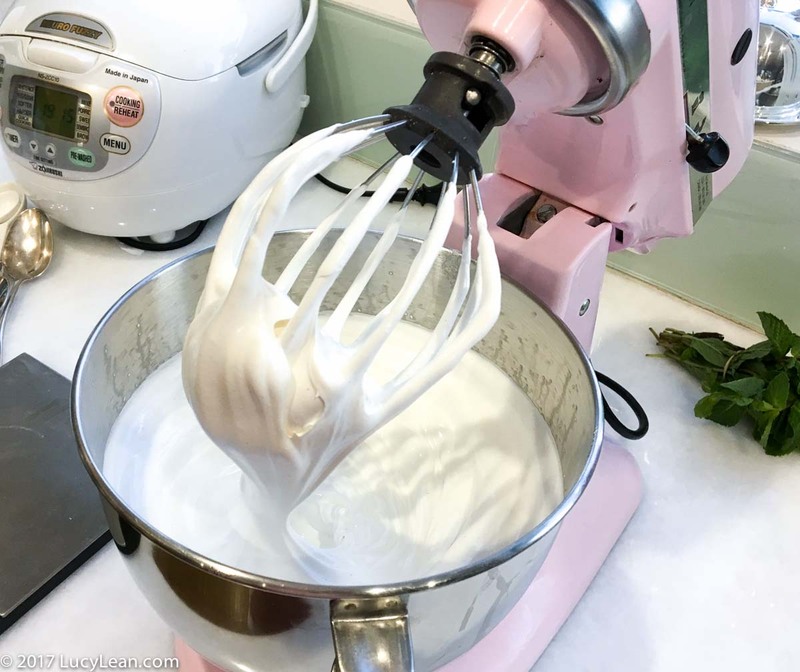 Add the vanilla paste/extract and continue whisking on high speed until the meringue holds its shape when a bit is lifted out of the bowl and should be homogenously silky. 5. Place the meringue onto a parchment sheet of paper and shape as a large circle and shape with a trench to hold the cream and fruit. On another baking sheet with parchment sheet using two spoon make regular meringues in balls about the size of an apple with the remaining meringue. 6. Place in the oven (230F) for about 2 hours. When it is ready the meringue will lift off the parchment paper, the outside will be firm and the inside still a little soft. Turn off the heat and leave to cool in the oven. This prevents the meringue from cracking as it cools. 7. To make the Chantilly cream place heavy cream in bowl of Kitchenaid and whisk for about 2 minutes. Add confectioners sugar and 2 teaspoons of vanilla paste. Whisk until cream thickens being careful not to over whip. 8. 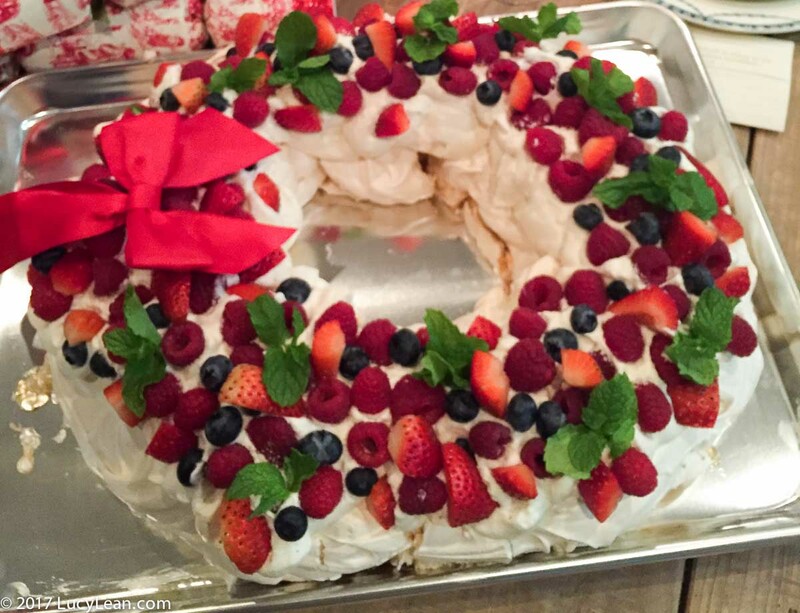 To compose the pavlova place the cooled meringue circle on a cake platter and spread the Chantilly cream on top, add fresh raspberries and strawberries and mint leaves. The dessert will keep in the refrigerator so if you need to make it up in advance of a dinner party then do.